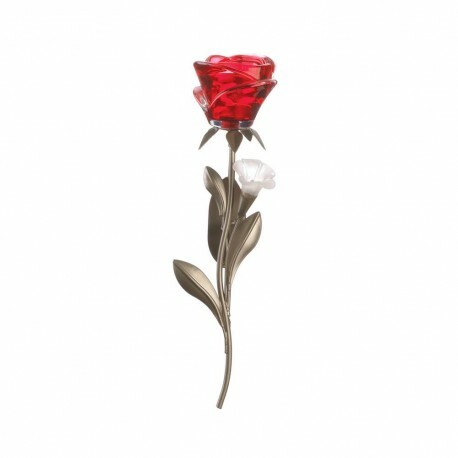 Add a touch of romance to your home decor with this gorgeous red rose wall sconce. Made from a stunning mix of glass and iron, this decorative wall sconce holds one tea light inside the rose for a subtle and sultry glow. Hang this delicate piece on your bedroom or dining room wall to instantly set the mood. 4" x 4.75" x 13.5". Glass, Plastic, Iron.